What Color Revolution Does the United States Have in Mind for Russia? New US Ambassador to Russia John Tefft will be packaging the coup in public protests, says Zinoviev Club member Pavel Rodkin. 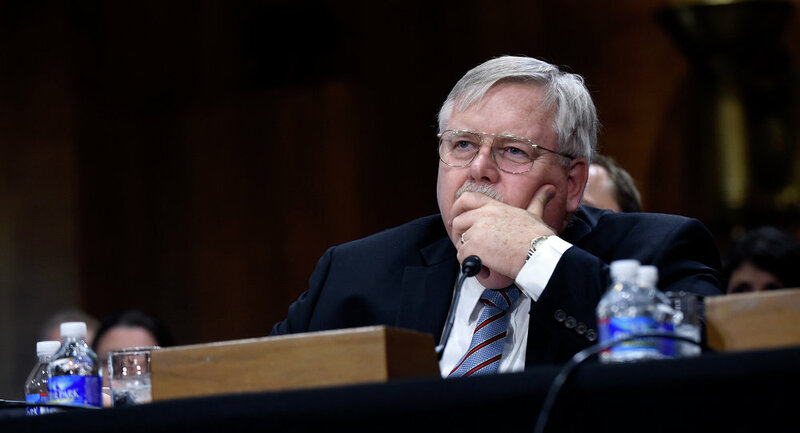 John Tefft's appointment as US ambassador to Russia is seen as a step toward the possible destabilization of the situation in Russia and Eurasia in general. Unlike Michael McFaul, Tefft is considered a doer and a supervisor of color revolutions in the former Soviet Union. Will his appointment be used for staging another attempt at a color revolution in Russia, and in what form? Answering this question is impossible without analyzing and understanding the evolution of both the color revolution techniques, which have ceased to be non-violent, and media tools that are used in modern cultural and information warfare. For Russia, the phenomenon of color revolutions began and became part of the political and social agenda with the Orange Revolution in Kiev in 2004. It was precisely the Orange Revolution that formed the image of a color revolution for Russian society and that has for a long time determined its attitude toward this phenomenon. Even though color revolutions have happened before the Orange Revolution (the Revolution of Roses in Georgia in 2003), and after it (two revolutions in Kyrgyzstan: the Tulip — or Lemon or Melon — Revolution in 2005 and the Second Melon — or People's — Revolution in 2010), it was Kiev that gave Russia the start for using new political, social and humanitarian techniques. It was then that the idea of a universal and omnipotent nature of color revolutions was formed. The nonviolent "velvet" brand of color revolutions is a thing of the past. The symbolic names that are being based on symbols and colors used in protest rallies have become a formality. Quite often, revolutions don't share a single identity. The 2010-2011 revolution in Tunisia had several names, such as "jasmine," "date," "hungry," "baguette." The Egyptian revolution was dubbed "melon," "Twitter," "youth," "mustard," "resort," "revolution of the pyramids" and "date." Media confuse them, which is indicative of a cynical attitude toward these markers on behalf of those who are behind these revolutions. If you look at the history of color revolutions, their radical nature (for example, attempts to stage a color revolution in Belarus in 2006 or Moldova in 2009) becomes evident. The final "chronological" line under the myth about a peaceful civil revolution was drawn not even by Ukraine during the 2013-2014 Euromaidan, but by Thailand. Protests in Thailand unfolded according to the classic color revolution scenario. The protests in Bangkok in 2009 reproduced and resembled the Orange Revolution in Kiev in 2004. However, serious street clashes began in Bangkok in 2013, and the end to the escalation of the civil conflict was brought about only by a military coup. Euromaidan in 2014 was not a departure from the peaceful scenario, but a technical implementation of the plan for a coup. The color revolution as such has run its course as a non-violent technique for toppling authorities, but its positive brand is still working. The symbolic and information packaging remains an important element of media support, and makes it possible to put an attractive coat of noble public protest on a trivial coup. All the more so, since Russia's active society, such as its creative class, intellectuals, the business community and the elite, are so turned on by external forms without understanding the underlying content. Color revolutions are preceded by major preparations seeking to create a negative public image of the current government. The preparatory phase in Russia has already begun, and it is connected with the global context and the processes in which Russia emerges as an alternative center of power. The crash of the Malaysian Boeing over Ukraine is an instance of an open stage of information warfare. Western media came up with blunt accusations of Russia and Vladimir Putin specifically long before any findings of the official investigation were available. They created and launched an ominous image of a "murderer" and an "enemy." Modern media use special techniques to demonize and dehumanize their opponents. After all, a war on "evil" justifies both the war and its victims. 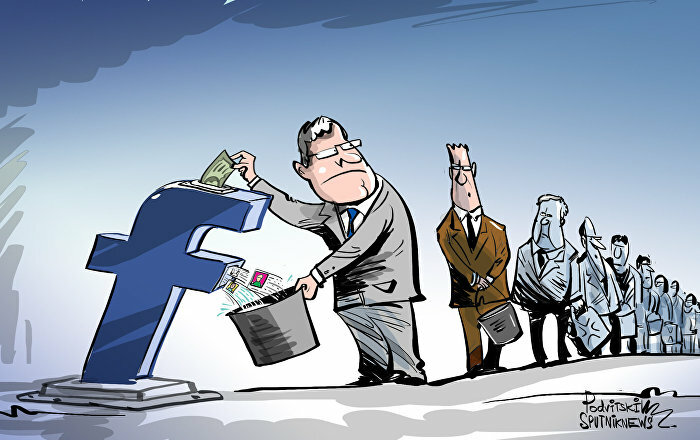 Another equally important goal pursued by information warfare is destroying and blocking critical evaluation of information by mass audiences. The media form an uncritical and fragmented (clipping) mind. Network fakes that have replaced newscasts are a case in point. Western media cook their news stories, such as the famous "war picture" of August 8, 2008, when the footage of the Georgian Grad systems shelling Tskhinval was peddled as shelling of Georgia by the Russian army. During the war in Libya, the media even had to build special settings in Qatar. The Ukrainian newscasts are almost all based on fake and falsified information. Despite the primitive nature of these techniques, the mass consciousness takes them for real. A picture or a video with an appropriate caption is seen by modern society as documentary evidence. The most dangerous thing is that a media image can serve as a valid reason for an invasion and the ensuing war. The communication effect of color techniques will remain unchanged for as long as societies in the affected countries continue to see political, social and economic reality through one-dimensional memes introduced through a complex system of modern social design. The public mind may become impaired due to low levels of critical thinking, as well as social injustice and inequality, which are used as a real basis for protests. From carnival to pogrom: What should we brace ourselves for beyond 2014? The destabilization of the situation in Russia is global in nature, and the blow will be directed at the EAEU (Belarus and Kazakhstan) and BRICS countries. Media and the comprador portion of the elite will act as conductors; therefore, understanding the above techniques is extremely important for analyzing future events. The destruction techniques to be implemented after 2014 can be divided into two categories, or rather "phases," which will not necessarily follow in this particular order and will complement each other perfectly. 1) The United States prefers to stick to the same scenarios as long as they work. As you may recall, Tefft was the ambassador to Georgia in 2005-2009 and then to Ukraine in 2009-2013. Therefore, the White Ribbon Revolution and the "Bolotnaya Square" scenario of 2011-2012 will have another re-run. The "carnival" protest will also resume with renewed vigor, and projects like "creative" separatism, protest performances and art happenings, will get a second wind. 2) As color revolutions show, the carnival nature and the symbolism of protests are no longer important. Clashes with police in Moscow in 2012 were merely an episode of protest rallies, whereas in the future they will become their goal, and this time the most savage forms of negative identity, rather than new "creative" design and symbolism, will come to the fore. The supervisors and the masterminds of the coups place their bets on nationalists, radicals, extremists and terrorists. Protests against social liberal policies of the elite may also be redirected at the state itself. Even though the example of Ukraine very realistically showed what can happen when a state collapses (and Ukraine is much closer to Russia than faraway Yugoslavia or Libya), the key issue is that the social and political stability is "provided" by external factors. The internal "factor of understanding," a phrase coined by Alexander Zinoviev, which ensures real societal resilience to external challenges and manipulation techniques, remains in an embryonic and chaotic state.